January 29, 2015 by Ecommerce News. About Cross-channel, Statistics with tags France. 2938 views. 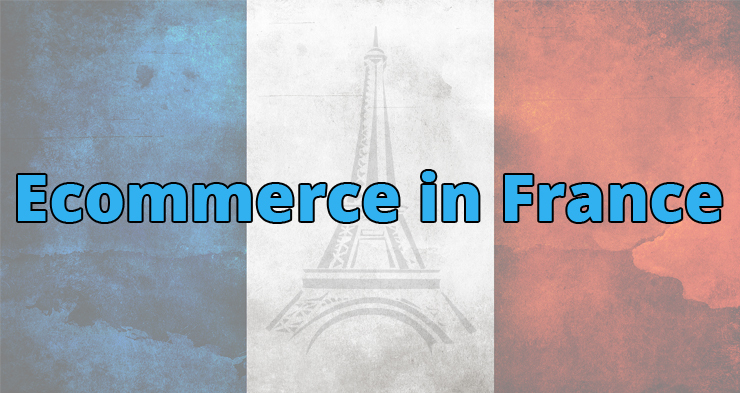 The ecommerce industry in France could grow by 10 percent this year. Thanks to a growing number of online offers, the arrival of new shoppers and a rise in transactions online retail sales in France could reach 62.4 billion euros at the end of 2015. This prediction was done by the French Ecommerce Federation, FEVAD, on Tuesday. FEVAD also presented some other numbers about the French ecommerce industry. For example, for the fourth consecutive year, the average basket value declined. French online shoppers spent on average 81 euros, which is 4 percent lower than it was in 2013. A declining average basket value is something that’s seen often in ecommerce industries that are maturing. As more people shop online, the amount spent on average declines. And this trend is about to continue in 2015 due to low inflation and reduced shipping costs. The number of transactions on the other hand, rose by 15 percent, while the purchase frequency has also increased. In 2013 there were on average 18 online transactions per buyer, while last year there were on average 20 online transactions per year per buyer. And there were 157,300 ecommerce sites in 2013; this number rose by 14 percent as 20,000 new websites were created. When looking at the top 15 online stores in France, we see eight traditional retailers. 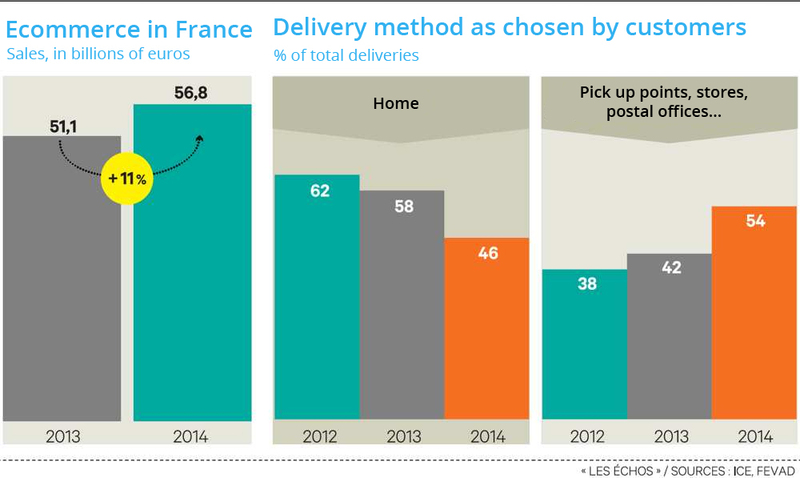 And online consumers in France seem to prefer to pick up their parcels instead of getting them delivered at home. In other words: multichannel is very present in the French ecommerce industry. France is the sixth biggest ecommerce market worldwide. In Europe, only Germany and the United Kingdom are bigger.